Last week the Turkish Statistics Institute (TurkStat) published important statistics on the state of working children in Turkey. “Child Labor Force Surveys” are not part of the routine publications of TurkStat, and before the 2012 survey the last to be done was in 2006. It is shameful that the subject of working children did not attract the attention it deserves in the Turkish media. There are still about 300,000 children ages 6 to 14 who are performing economic activities in Turkey (children participating in household chores are excluded), and the 2012 survey reveals that there has been no decline in this number when compared with 2006. The percentage of working children in Turkey's corresponding child population was almost 6 percent in 2006, and it still remains at the same level in the 2012 survey. Let me note that boys constitute the majority with 185,000 workers; the number of girls working is about 108,000. The question we should ask, quite naturally, is why the ever-so-praised economic growth of recent years did not have any positive effect on the number of working children. As the saying goes, the devil is in the details. When we look at the details of the survey, a more nuanced picture appears. Majority of these working children (68 percent) work in Agriculture and 76 percent has the status of “unpaid family workers”. Considering the dominance of the family mode of production in Turkish agriculture, these high percentages are not surprising. Nevertheless, what does stick out is the increase of working children in agriculture. In 2006 there were 152,000 children in the fields. This number rose to 200,000 in 2012, while the number of children working in industry and services declined from 113,000 to 92,000. In fact, the increase observed in agriculture is not a surprise since the agricultural employment of adults (ages 15+) has increased remarkably during the 2008-2011 period, almost by 800,000. The real surprise in this increase still constitutes a semi-puzzle. I am saying “semi-puzzle” because we hopefully have partly explained the unexpected increase in child agricultural workers through the impact of rising agricultural prices during the considered period (see the Center For Economic and Social Research's [BETAM] working paper “Why is Agricultural Employment Increasing in Turkey?” April 2012). However, further investigation is necessary in order to uncover the unexplained part. The evolution of the number of working children went in opposite directions regarding the urban-rural dichotomy. The number of working children in urban areas decreased from 120,000 to 79,000, and the percentage of them went from 1.6 percent to 1 percent. But in rural areas, the number of working children reached 214,000 and the percentage of them rose from 4.4 percent to 5.6 percent. 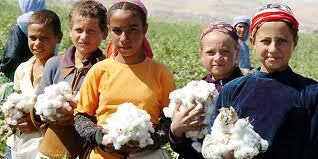 So we can easily assert that the working children phenomenon in Turkey is largely an agricultural-rural one. This does not mean, of course, that the problem should be taken lightly, but we should admit that as long as family production is alive in Turkish agriculture there will always be children in the fields. The picture is more nuanced, as I predicted, but what about the schooling of these working children? From 2006 to 2012 the child population of Turkey (ages 6-14) remained almost fixed at a little less than 11.5 million, while the percentage of children going to school increased from 92 to 97 percent. The percentage for urban and rural areas, respectively, increased in the same period from 94 to 98 percent and from 89 to 96 percent. So, it should be underlined that school attendance has increased in rural areas more rapidly than in urban areas. The number of working children not going to school in rural areas declined from 60,000 to 37,000. Obviously, the increase in the number of working children in rural areas did not prevent them from pursuing their education. Conciliating work and school could have an adverse effect on the academic performance of these working children, but the evidence for this possibility is lacking at the moment. To sum up, the fact that the number of working children did not decline during high growth years (including the crisis period) does not indicate impoverishment; families do not send children to work because they have been empowered. On the contrary, most of these children are from families in the agriculture business -- an increasingly attractive sector -- and they simply help their parents. The increase of the number of working children is limited to rural areas, particularly to agriculture. It appears that the increasing attraction of agriculture from 2008 to 2011 has dragged some number of children to the fields along with their parents.